This show changed my mind and feelings toward Thomas Gainsborough. The works included, present an artist in love with the art of drawing and a daring use of material combinations to further express that love. 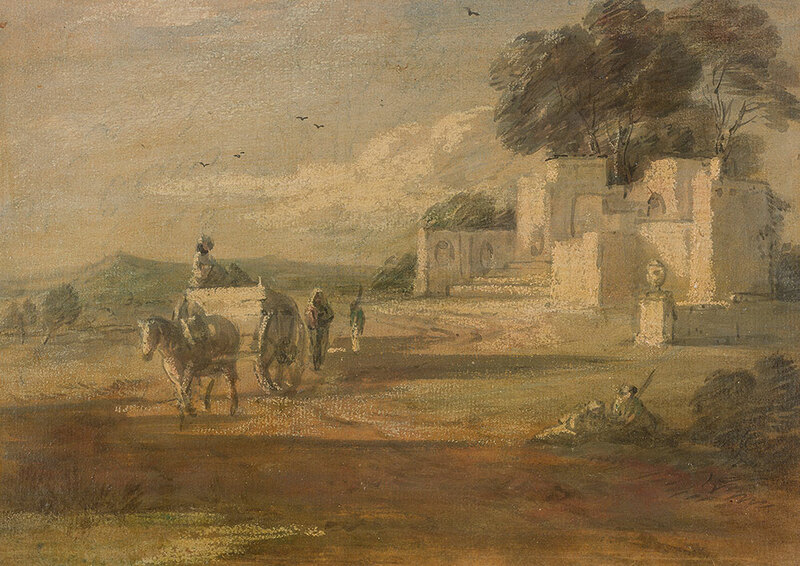 To illustrate that point, simply look at the description of mediums used in Landscape with Horse and Cart; oil paint, lead white chalk, watercolor, over black chalk, varnished, on laid paper, varnished. Each piece in the show has nearly as complex a list of “experiments” in mediums. What is truly remarkable though is the condition the works are in. They are pristine. For all of his “experiments” we are left to believe he was completely aware of how to mix his mediums and in what order, so some 250 years later, they are still fresh and daring. If you can’t see this show in person click here to order a copy of the book associated with the show. As with the previous show at The Morgan, Power, and Grace: Drawings by Rubens, Van Dyck, and Jordaens we are pushed past the concept that historically drawings have only served as tools to work out ideas for paintings. This exhibition once again proves that drawing is often a refuge for artists who, with successful portrait studios, find solace in the simplicity and complexity of the art of drawing for itself.